You've come to my website, because you're considering hiring me for your criminal case at the 35th District Court, and you want to know how I can help. Cases at the 35th District Court originate from Plymouth, Northville & Canton. The judges are Judge Lowe, Plakas and Gerou. Criminal cases at the 35th District Court have four outcomes. Your case could be dismissed due to suppression of evidence or unavailability of a witness, you may enter into a negotiated plea agreement to a reduced charge with a sentencing agreement, which keeps you out of jail, you may go to trial and be found not guilty or you go to trial and you're found guilty. As a former New York City and Michigan prosecutor I know both sides of this system, and I know what gets results. My method of criminal defense is unique at the 35th District Court, because my clients take a proactive approach rather than sitting back and simply hoping for things to go well. 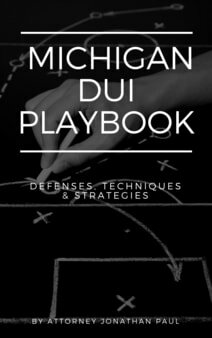 This approach has worked very well at the 35th District Court for various criminal charges, especially drunk driving, retail fraud, MIP and drug possession cases. I don't publish the secrets to my approach on my website, because other attorneys would steal it for their clients, and my clients would no longer have a distinct advantage. My approach at the 35th District Court has sometimes resulted in better bond conditions, less or no alcohol/drug testing, dismissal of charges, avoiding jail, shorter probation terms, keeping a driver's license, lower fines and costs and a number of other benefits. My clients get great satisfaction knowing that they can have a positive influence on their case both inside and outside the courtroom. I always ask my clients if they want to strive for an average or an exceptional result. If the potential client wants to settle for being average, I will pass on the case. When you're charged with a crime at the 35th District Court, you're considered a criminal by the court, prosecutor and police department. Your case and file have no face, history, background or information other than the crime you're alleged to have committed. Wouldn't it just be easier to start a program before even going to the 35th District Court, do well on it, and ask Judge Lowe, Plakas or Gerou to just continue allowing you to do that rather than what he had in mind for you? It's like creating your own punishment as a kid and having your parents accept it rather than them coming up with their own terms. By being proactive outside of the courtroom, it helps when you get in the courtroom at the 35th District Court. I provide the tools to accomplish your goals. Despite your constitutional right to be innocent until proven guilty, the judges at the 35th District Court is still going to give you bond conditions, and can keep you in jail during your case, and locked out of your home. Just being charged with a crime allows the court to have total control over your life until your case is concluded. My plan puts all of my clients in a better position during their case, allowing the opportunity for favorable bond conditions, because we're taking control of the situation for the judge. Doesn't it just sound better, and makes you feel a little better if we can tell a judge you're attending AA meetings voluntarily and doing community service rather than a judge yelling and screaming and telling you that you need to go? What about showing the judge a negative alcohol or drug test, instead of promising you'd pass a test? Most clients feel better about themselves about going to court when they are already being proactive about their case. It's the difference between studying for an exam and being confident versus just showing up and hoping something good happens. You'll enter court confident and ready to face Judge Gerou, Plakas and Lowe. No that's not a typo, potential clients must apply for my legal services. My services are in high demand for the 35th District Court, and I cannot represent every person that contacts me. I have to turn down around half of all potential clients that call or email me, because I'm either fully booked with my current clients or your case may not be the best fit for my law firm. I carefully select clients who are committed to following my game plan, and want to better themselves going forward. If you simply want to show up and hope for the best, I can give you the name of another attorney who will take your money. The 35th District Court serves the five communities of Canton, Plymouth City, Plymouth Township, Northville City, and Northville Township. The court is located in Plymouth, Michigan, in Wayne County. "Jonathan is professional, yet I did not feel like I was talking to a machine. He was friendly, and kept me posted on a regular basis on what was happening with my case. He was able to reduce me from a misdemeanor to a CI just by talking with the prosecutor. Could not have been happier, I would highly recommend him". "I first came across Jonathan's name on this exact website, and I read all of his amazing reviews. This, plus the fact that he works from Northville (which is where I was arrested for OWI) are really what prompted me to contact him. I sent him an email detailing lots of things from my terrible experience, and he emailed AND texted me back right away, even though it was a Sunday and he was out with his wife. He later sent me an even more extensive email telling me when he thinks he could do to help me in my particular case. This kind of prompt and thourogh feedback was standard the entire time I worked with Jonathan. Some background on my case in particular: I was arrested in Northville Township for OWI with a BAC of 0.21. This technically falls under the Michigan Super Drunk law. However, as it was my first offense of any kind, they only charged me with misdemenor OWI. I spent the night in jail, my car was impounded, it was terrifying. I am almost done with college in the medical field and I just kept thinking "my life is over." So I hired Jonathan after meeting with him. He used to be a prosecutor so he knows both sides of the game. He put me on a unique "proactive approach" which was AMAZING and completely helped me out in the eyes of the court. He also really helped to walk me through the process and ease my mind about what to expect in terms of sentencing. Well today I had my day in court, and I have been dreading this day for a month now. Thanks to Jonathan's approach, he was able to convince the prosecution to give me a lesser charge of OWVI (the lowest and cheapest alcohol-related driving charge). This is a HUGE success, especially since I could've been charged with felony Super Drunk. I was also given 9 months of reporting probation with only holiday blows, 5 days of community service of my choice, and an alcohol class that probation recommends. I did NOT lose my license (which was another huge fear of mine), and only have a restricted license (work, school, medical appts) for 90 days. I am so happy I chose to work with Jonathan Paul. 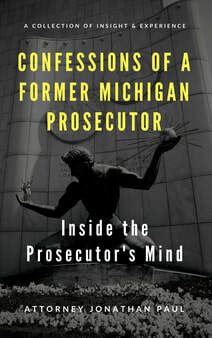 Without him I probably would have never been offered the lesser charge, as it was his unique proactive approach that finally made the prosecutor offer it to me. He really makes you see that you're not a bad person because you got a DUI/OWI, you just made a really bad mistake. I would highly, highly recommend Jonathan Paul to anyone in need of a DUI Lawyer, because I could not have gotten that outcome without him. - OWI Client"
When I was arrested for drunk driving I thought my life was over. Luckily I found Jonathan's website and his action game plan, which puts a strong emphasis on treatment and being proactive in my community. He had me attending AA meetings within days, meeting with a great counselor and doing community service. This plan resulted in the judge not even testing me for alcohol during my case, which can be expensive and time consuming, and I was able to keep my driver's license, which allowed me to keep my job and take care of my family. I would not have had such a great result without being proactive. Jonathan's plan convinced the judge that I had already done enough to show I would not be a repeat offender, and I didn't deserve to be treated like a dangerous criminal. Hiring a lawyer was like hiring a doctor for me. I wanted someone who I trusted with my well-being, and would have a game plan that I was comfortable with. Jonathan told me that he was very selective with who he represented, and I would need to follow his game plan to even be considered as his client. He told me I would need to do community service, attend special classes and commit myself to working hard outside of the courtroom. I liked his game plan and trusted the reasons behind it. Ultimately, I got so much out of this proactive approach, and it ended up getting my case dismissed! I can so thankful for Jonathan's guidance, and for doing my research to find his services. Every other lawyer just wanted to go to court and kept telling me how aggressive they were - this wasn't very appealing, it was like a doctor telling me they'd be aggressive, but without a real direction our purpose. Working with Jonathan was like working with a world-class surgeon who kept me informed at every step and I saw results while working with him. My life is back on track and my mistake is now in the past thanks to his hard work. Thank you! Jonathan Paul was a great lawyer. I felt as if I could speak with him at any time and he would answer my questions. I had doubts about my situations, but he gave me the necessary information to be a positive person and not get down on myself. Things could have gone bad, but he was able to tell me what I should do to be pro-active and I believe because of this information, both of my cases were deferred. Thanks to him, these two situations will not be on my record. I would definitely recommend him to anyone who is seeking a lawyer. Jonathan is a top notch attorney who listened to me, thoroughly reviewed my case, formulated a plan of action and executed it perfectly achieving the goals we set. Jonathan is a true professional who always made himself available to address any questions or concern I had during my case. I really enjoyed working with Jonathan and would recommend him to anyone who in need of a top notch attorney. Attorney Jonathan did a great job from start to finish. He put me in the program for shoplifting prevention classes before my court date. I had immigration issues and wanted my charges to be dismissed completely or changed to disorderly conduct from theft/shoplifting. That's what he got for me.my charges will be dismissed after just three months of non reporting probation and no shoplifting on my record. I avoided the immigration consequence and no jail time. I will recommend him to anyone who need a criminal defense lawyer.